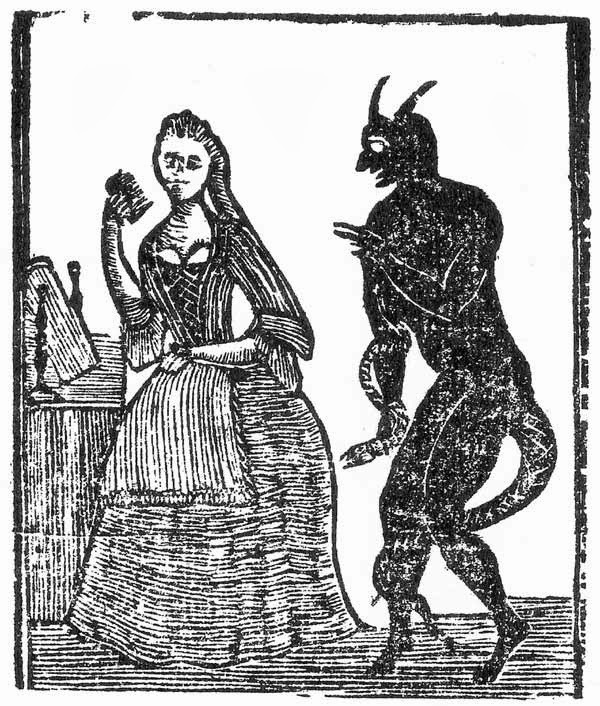 How the Devil Married Three Sisters was published in 1885 in a book of Italian folktales. The stories were collected by Thomas Frederick Crane. I performed my own version of the story at Saturday’s StoryFest, a day-long festival sponsored by Story Arts of Minnesota. It is not often that I tell a story in verse, but the ballad form seemed suitable to the tale. This is a Type 311 tale, as the folklorists would say, in which the clever heroine rescues her sisters. Type 311 is right next door to the Bluebeard stories (Type 312 and 312a), where the outcome is not so pleasant for the girls who come before. 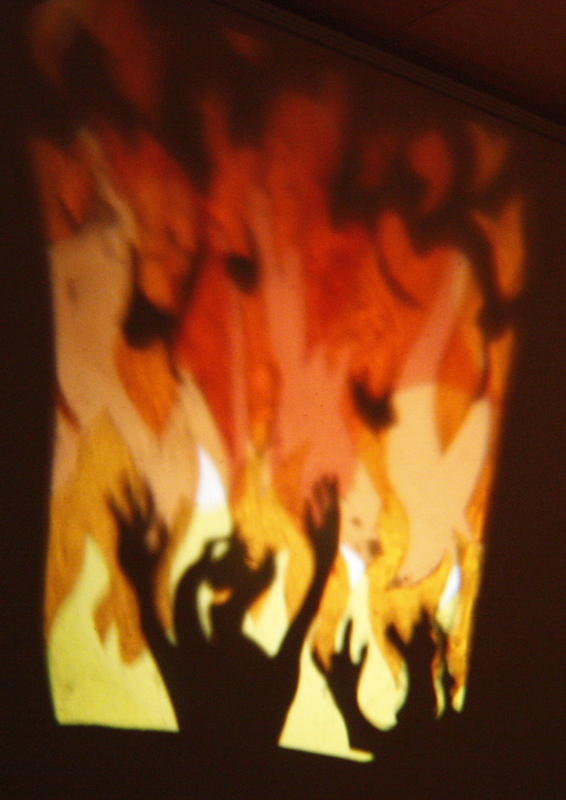 Folktales themselves are in the public domain. But my version of this story is not. This ballad, and other folktales I have interpreted here such as The Woman Who Had No Shadow, are protected by copyright. (If you are interested in learning more about folktales, fair use and copyright, these articles by Heather Forest and Aaron Shephard are very useful.) If you are a storyteller and would like to perform this version of the story, or set it to music (not a personal talent of mine!) or base your own version upon it, please contact me for permission; my email address is on the About Me page of this blog. The original version of this story can be found here. 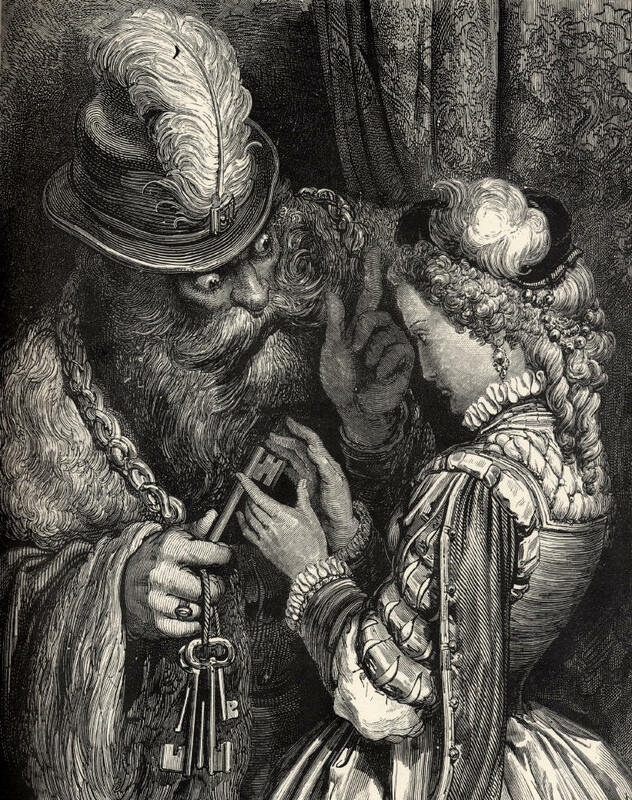 You can read the entire book of folktales – via the Gutenberg Project – here. 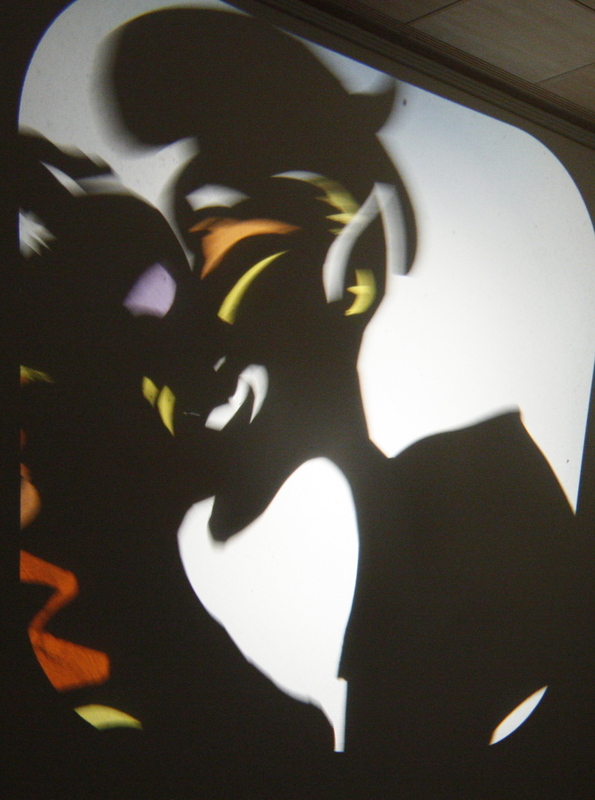 There’s also an animated version – with a heavy metal soundtrack – and a prose poem by Lauren Simeone based on the story accompanied by an intriguing video collage. Finally, Jeff Gere does a shadow puppetry variant of Type 311 published by Italo Calvino known as Silver Nose, from which two illustrations above are taken. You can watch that on YouTube here. I will go back to posts more appropriate for the typical blog reader’s attention span next week. But for now, we’ve kept Old Scratch waiting long enough…. And wanted to be gentry. A mansion rose out of the dirt. It had a golden door. Where it had been before. The devil came to court the first. He fit the merchant’s plan. Gave her a rose bouquet. Is only meant for me. And it was strangely warm. What did the eldest see? Of brimstone, fire and gore. She shut the basement door. 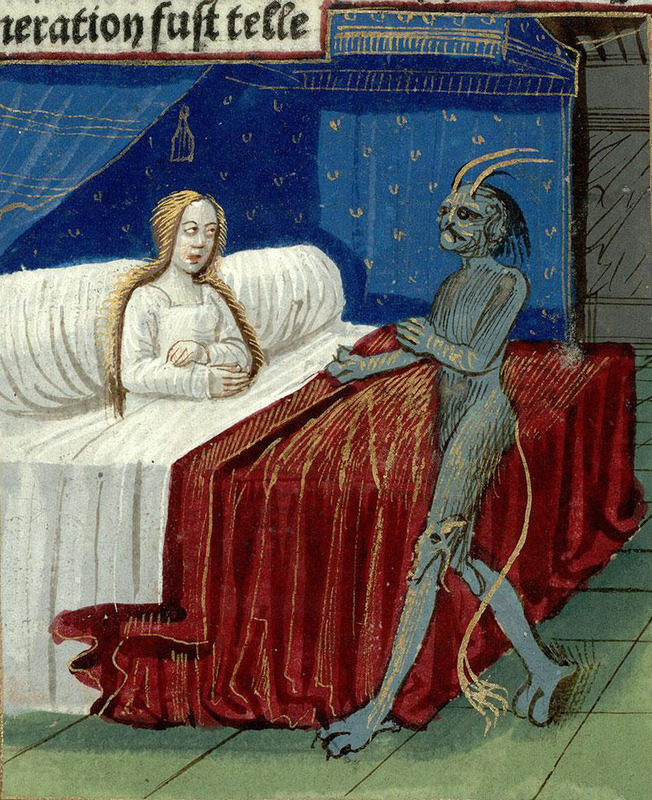 Technically, this is a 15th century illustration of the conception of Merlin – but you get the idea. And were you a good wife today? Did you open my door? And for this they must pay. And found it strangely warm. What did the second see? But what could she control? And all will steal your soul. Go burn with your sister! The Two Sisters Burning. Courtesy Jeff Gere. The third be any good? And put them in water. She found it strangely warm. What did the youngest see? They wailed their husband’s name. And conjured up a plan. Showed she had kept her word. What this old folktale says. The Devil in Love. Courtesy Jeff Gere. She had a little task. While he is all alone. His bulk, his length, his might. Don’t lay it on the ground. Then limped back home again. The other side of town. Don’t put my trunk to ground. Perhaps they should move nearer. The hat that kept her warm. 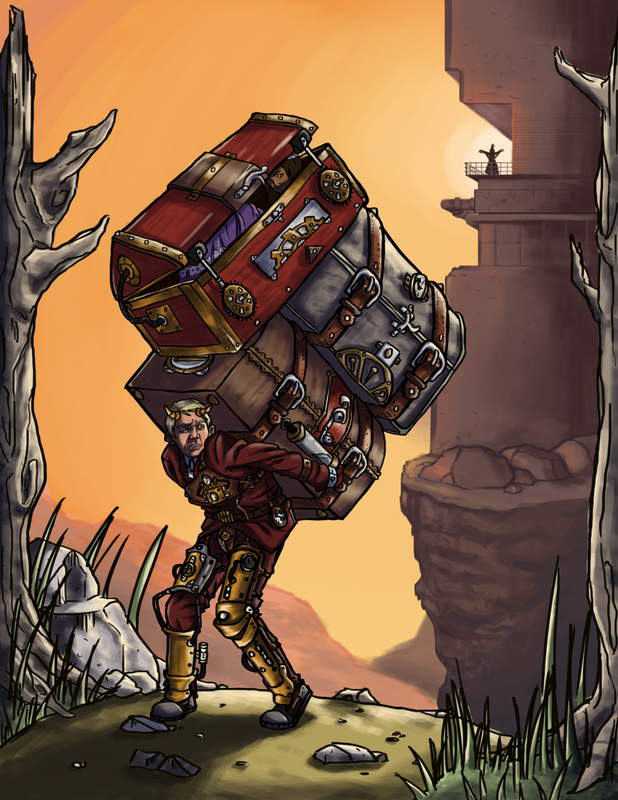 A Steampunk Devil Carrying the Third Sister, Courtesy Kerdersky at DeviantArt. In this version the two other dowries apparently have their own trunks. Don’t let my gift touch ground! This made the devil mad. Thank you Kimmie. It was fun to try to put a story in verse; though it ends up rather long on paper (or the screen), it’s only 8 or 9 minutes in the telling. You’re welcome, Amalie. It’s fun to see the trickster tricked now and again. Especially this one. Fabulous. Paula. I’d never heard of a 311 story but so beats Cinderella with its sibling rivalry and handsome prince rescue. Hurrah for Tuscan women! Haha! Yes, it beats sibling rivalry. Interesting that there are types. Of course there are though, right? They would have to categorize them in some way. Yes, hooray for Tuscan women! I do find it interesting how this story differs from that other temptation story, in which it is God who sets the “everything but” condition: “you can eat of every tree, except don’t touch this one.” The devil appears in both stories, but God only in one. I’m going to have to chew on the implications of that for a bit. Yes, there’s some discussion in the folklore field about types versus motifs, and what’s best for classification and grouping, but I hardly think that matters to anybody but academics. Different groupings just bring out different comparisons to mull over. In the Aarne-Thompson classification, this actually fits under fairy tales, which seem to be anything with a supernatural component that does not have an overtly religious theme. Types 300-399 have to do with “supernatural opponents.” Then there’s your supernatural or enchanted relatives (400-459), your supernatural tasks (460-499), your supernatural helpers (500-559), magic items (560-649), stories of supernatural power or knowledge (650-699), and a general catch-all for “other stories of the supernatural.” The fairy tale section comes after animal stories (anthropomorphic animals, of course) and before religious tales. 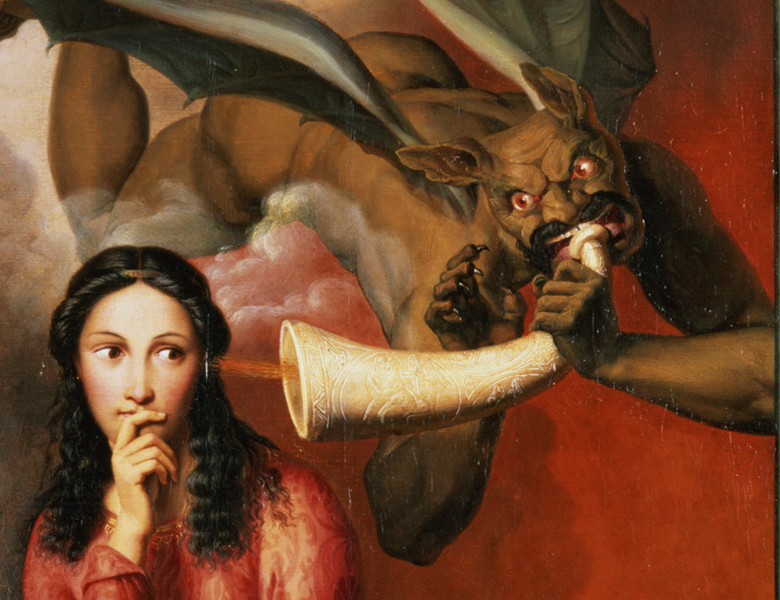 Interestingly, the devil shows up both in fairy tales AND religious stories. I love Italian folk-tales! So much fun. Thanks for posting this one! I do, too. There’s another Mary Hamilton tells from Italo Calvino, “The Princess and the Dove,” that is also a personal favorite of mine. I read it first in the Best Loved Stories Told at the National Storytelling Festival. I’ve told it myself, but I like her version so well I’m not sure I’ve created one distinct enough from it to consider mine original. So I usually credit her. Fabulous! I love how in Medieval literature the Italians had more influence on our stories than we give credit. I’m hitting the all-too-easy to use Like button for the ART!!! Once again, you rule with your use of art, Paula! Coming from you, m’dear, that is a high compliment. thank you. Great post; I really enjoyed it. The fairy tale types were interesting, too. Are there any types before 300? Oh, yes. Those are all the animals stories – Aesop et al. Thanks, Ann. What a wonderful tale, I love folk tales, always so rich and full of meaning. Thank you; I’m glad you enjoyed the story.